The sights and sounds of a trade show should be familiar: the labyrinth of trade booths, the bustle of the crowd, the feverish roar of marketers trying to convince prospects to purchase their products. Among all this confusion, you need to make an impression. After all, you won’t have long — a few hours, a weekend at most — to advertise your brand, generate new leads, and boost sales. Here are five pro tips for making your next trade show your best yet. Like the best table at a wedding reception or front row seats at the Super Bowl, a good location at your next trade show is pretty awesome. You’ll want to set up your booth in a high-traffic area with heavy footfall: near a centralized aisle, adjacent to the front entrance, close to the stage. This way, you can attract a steady stream of visitors throughout the day, and increase your chances of getting noticed. 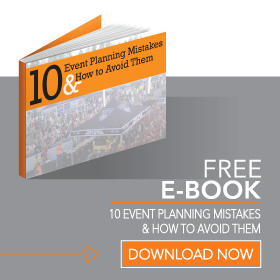 Kate Cheney, president of Canadian marketing firm ConventionalALL Management, recommends sourcing a floor plan before you attend the event. Remember to book your spot at a trade show early, too. You are more likely to get a booth in a prime location, and you could even receive a discount. Using a custom pop up tent looks professional, too. These trade show displays instantly grab the attention of visitors as they snake through the event room, and can be personalized with a printed valance and vibrant colors to make your booth stand out from the crowd. Fifty percent of trade show attendees will be there for the first time, so social media promotion is a great way to introduce your brand before the event. Create a social strategy that magnifies your trade show presence. Post content on Twitter with the event’s official hashtags — #MagicLive2016 for perennially popular The Magic Marketplace, a clothing trade show in Las Vegas, for example — and encourage your social followers to retweet, like, and comment on your updates. Tell your Facebook, Instagram, and Snapchat followers that you plan to give out free goodies at your trade booth. The world’s biggest brands — Apple, Disney, Microsoft, etc. — create buzz about upcoming product launches with teasers and trailers. You can replicate these powerful marketing messages by previewing a new product that you plan to introduce at your next trade show. Stimulate interest in your product launch with a cross-channel campaign that targets customers who visit your website and social pages. On show day, find ways to interact with your audience and build suspense around your giveaways. 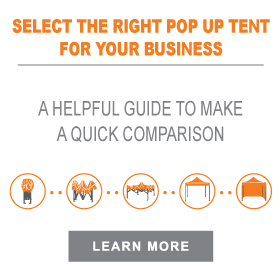 Hire fun and motivated staff at your next trade show — to hand out marketing material, partake in product demonstrations, and look after your custom pop-up tent — and increase the number of sign-ups and conversions on the big day. Studies have shown a correlation between happy employees and sales: Revenues increased by an average of 22.2 percent at Fortune’s 100 Best Companies to Work For in 2014. Choose a positive team of people who are happy to wear branded clothes — featuring your company’s logo, for example — and promote your product. 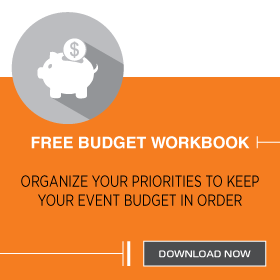 Want to organize your best trade show yet? Hire the right staff, tease your product launch online, use social media marketing, improve your presentation skills, choose a booth in a central location and don’t forget to customize your trade show booth with you logos and designs! Let us help you creating your dream booth design!